I'm just going to be blunt - I didn't like season 2 at all which was hugely disappointing because I loved season 1. 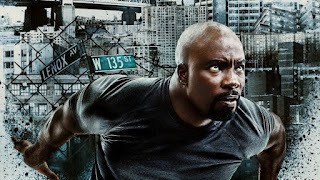 Even though it had its flaws, at the heart of it was a man trying to protect Harlem, overcome stereotypes and struggling with the word hero and what that meant to him (something that plagues all the Netflix Marvel protagonists and is a theme I quite enjoy). And while those themes were still present, bad writing and surprisingly poor acting (I blame the former) overshadowed it all. Even the villains felt like caricatures. The actors themselves certainly had presence but it just felt so repetitive. They do bad things, Luke and Misty (who was the best part of the show!) take them down, one of them decides to show mercy, they get betrayed, they get angry, they take them down again and repeat. Like over and over and over again. I just couldn't bring myself to care. I only finished the show just to finish it basically. I mean you know it's bad when I'm downright relieved to see Danny Rand aka The Iron First make an appearance. In fact, his episode was pretty great and made me curious to see if his next season will be an improvement. As for Luke Cage, I'll keep watching only because all the shows overlap in some way but I sincerely hope they get their act together for season 3. I'm very picky about starting animes because they're an investment of time and attention (no multi-tasking allowed!) so I haven't watched any since I binged all seven seasons and four movies of Inuyasha. 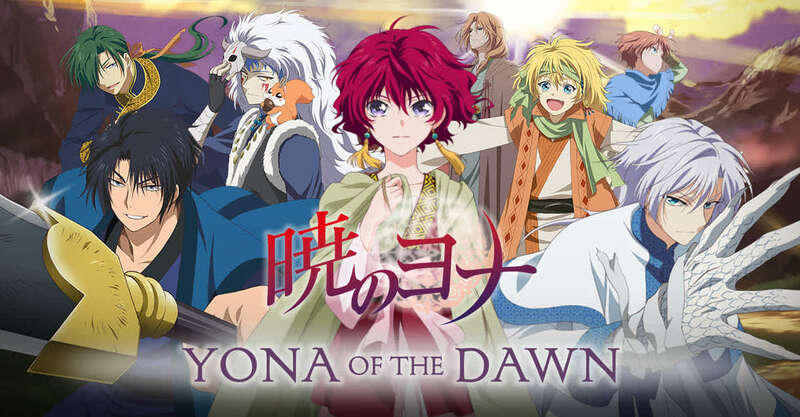 But Alexa convinced me to check out Yona of the Dawn since it was only 24 episodes and she was sure I'd love it. Of course she was right! It's about Princess Yona who lives a spoiled and sheltered lifestyle, with no real knowledge of the outside world. The three main people in her life are her pacifist father, King II, her bodyguard and childhood friend Son Hak, and her love interest (and cousin, yuck) Soo-Won. On the night of her sixteenth birthday, she witnesses Soo-Won killing her father to take the throne and flees the castle with Hak in despair. In the aftermath of this tragedy and the advice of Hak's grandfather, they begin a journey to find the legendary Four Dragon Warriors in order to survive and save the kingdom. First of all, I love stories like this that involve epic journeys, fantasy, warriors and a heroine overcoming obstacles to find their inner strength. This had all of that! The show has a lot of heart and made me laugh out loud quite a bit. Son Hak might just be my second anime guy after Tamahome. And Yona pure heart and feisty spirit make her a wonderful heroine (although she had to grow on me a bit). Be warned that if you decide to watch this, it ends on a note that will leave you wanting more and I am certainly feeling that now. 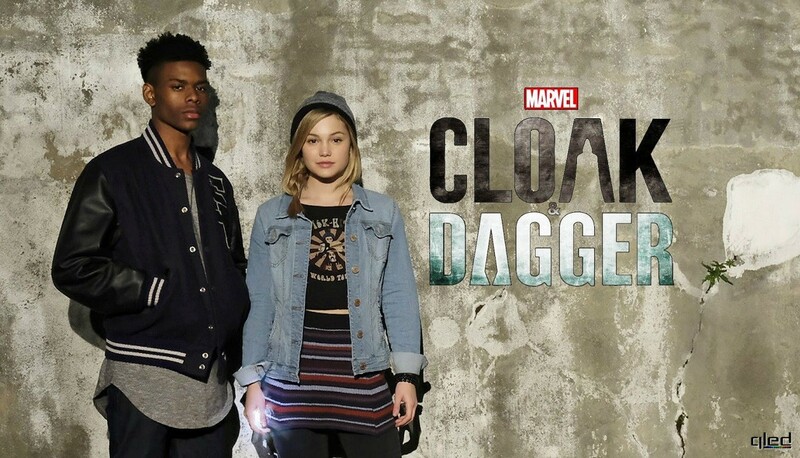 Cloak and Dagger is a new Marvel show on Freeform. That alone made me somewhat skeptical but I can't resist Marvel. And it's actually pretty entertaining! It's not my favorite but I enjoy the way they've interpreted these two lesser known (at least to me) heroes. They're very much teenagers and are portrayed so. But their tragic backstories and how their past continues to affect their present forces them to grow up faster and look at the world more cynically. It's set in New Orleans and follows Tandy Bowen and Tyrone Johnson whose lives and powers are forever intertwined by a life-changing event that happened to them as children when the Roxxon Gulf Platform collapsed. In general, the show isn't what I expected at all. I was thinking it'd be cheesy and super focused on the romance especially since every summary I've seen online talks about it. But honestly? It's not cheesy and half the time, I'm not even sure the two protagonists like each other very much (which, let's face it, I'm into that trope) but I don't know if it's going down that road. It's all about the craziness in their separate lives and how the powers-that-be keep throwing them together whether they like it or not. And sometimes they do like it and other times, they really, really don't. It's already been renewed for a second season and I definitely plan to keep watching. 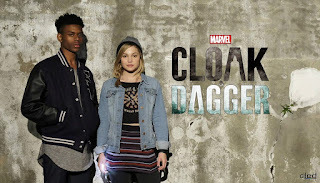 I have been thinking about watching Cloak and Dagger, I usually give Marvel shows a chance and I read a good review for this one in The Hollywood Reporter. It's nice to know you're liking it so far, I think I'll watch the first episode and see how I feel about it. Since most of my shows are in hiatus for the summer, I'm not watching that many things. I'm watching season 5 of Younger -which I'm not liking as much as last season- and season 6 of Elementary - which it's not a show I love, but I really like the relationship between Sherlock and Watson so I keep watching. Recently I finished season 2 of Glow -which I didn't like as much as season 1- and I watched season 1 of Killing Eve, which I LOVED and would totally recommend if you like serial killer shows.